New development screenshots have been posted from the Let L-410 Turbolet project for X-Plane. Real Environment Xtreme for X-Plane is now 50% off at the X-Plane.org Store. Sale ends September 30th 2011. SkyDemon has posted beta version 2.2.1 of the SkyDemon VFR Flight Planner. Just Flight is giving away the Aeroplane Heaven's Hawker Hurricane for FSX on completion of this survey. Take On Helicopters Community Preview build 84444 is available. Note: Arma 2: Operation Arrowhead is required. AFS Design has released the Airbus A319/320/321 Neo package for FSX and FS2004 at SimMarket. ArezOne-Aviation Soundstudios has released the Cessna 337H Skymaster SoundSet for FSX. New livery preview pictures have been posted from the upcoming MilViz F-15E Strike Eagle for FSX. McPhat Studios has posted several Lufthansa previews from the PMDG Boeing 747 World Airliners 2 HD Textures (HDT). Drzewiecki Design has posted a teaser screenshot from the upcoming Kraków Balice 2011 (EPKK) for FSX and FS2004. Carenado has posted new preview pictures from the upcoming A36 Bonanza for FSX. The freeware Saba Island Airport (TNCS) for X-Plane is now available to download at X-Plane.org. Aubrey has posted Police livery previews from the MD Helicopters MD-902 Explorer for X-Plane. 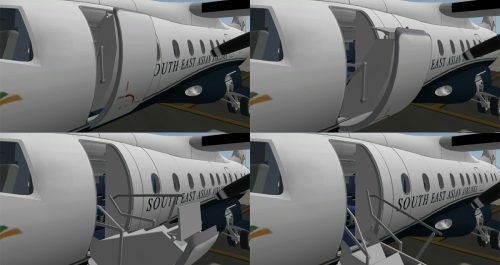 New preview pictures have been posted from the freeware Dornier Do 328 Turboprop project for X-Plane. 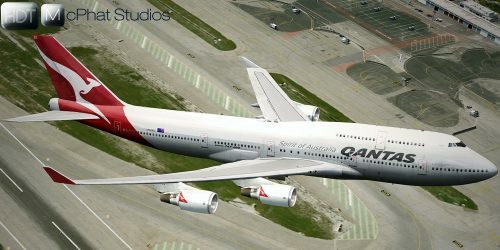 McPhat Studios has posted new previews from the upcoming PMDG Boeing 747 World Airliners 2 HD Textures (HDT). FlightSim Developers (FSD) September Sale with $5 off on all native FSX products. Valid until September 30th 2011. Carenado has released Service Pack 20110907 to the Cessna C337 Skymaster for FSX. - Low RPM sound loop issue was solved. - Clickable area of the GPS was extended (now covering the entire screen). - Differential braking scale was adjusted. - Correction to the brakes map for braking with left or right wheel independent. - Statics elements were adjusted to the level of the ground. - Thermometer had a bug and was indicating wrong temperature. Fixed. - Pop-up GPS showed a different button from the one in the VC. Fixed. - MPH airspeed indicator marking (inner circle) was adjusted. - Some corrections to the description of the aircraft were done. CaptainSim has announced availability of the paint kit to the Boeing 737-100 for FSX. 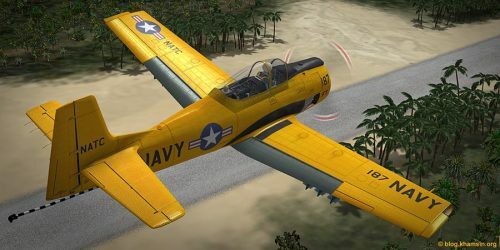 Khamsin has posted several previews from version 1.2 of the North American T-28C Trojan for X-Plane. The freeware Embraer E-195 for X-Plane is now available to download at X-Plane.org. The freeware Minsk Intl. Airport (UMMS) Photo Terrain for FSX is now available to download at AVSIMrus. Angelo Tassoglou has released his freeware Central Peloponessos photo scenery for FSX. Download at AVSIM. SimMarket is offering up to 50% discounts on various products in the store. Valid until September 30th 2011. The RAZBAM Convair F/A-201A Kestrel multi-role aircraft for FSX is now available to purchase at SimMarket. Flight1 has updated information on the 2011 open day at Shoreham Airport (EGKA) September 24th, 10AM to 5PM. Turbine Sound Studios (TSS) has posted a preview video from the Boeing 757 RR Sound Package for FSX and FS2004. Orbx Port Macquarie Airport (YPMQ) and Diamond Point Airport (2WA1) for FSX are now available at SimMarket. John Venema from Orbx has posted an official statement on their plans regarding Microsoft Flight. Southwest Design has posted new preview pictures from VFR Plymouth - Plymouth City Airport (EGHD) for FSX. Eiresim has released London Luton Airport (EGGW) for FSX. More information at the Eiresim Website. The freeware Batumi International Airport (UGSB) for X-Plane is now available to download at AVSIMrus. 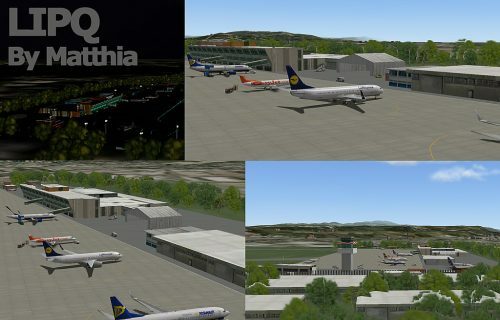 Matthia has released the freeware Trieste Airport (LIPQ) for X-Plane. Now Available at X-Plane.org. JRollon has posted new virtual cockpit preview renders from the upcoming Airbus A320 for X-Plane. Free X-Plane NavData AIRAC 2011.09 is now available to download here. FS Dreamscapes has announced the availability of Ultimate VFR Xtreme Oahu preview build #4 to pre-order customers. Freeware Weather AddOn FSrealWX v0.16.1236 Beta for FSX and FS2004. Details and download at RS-Transline. 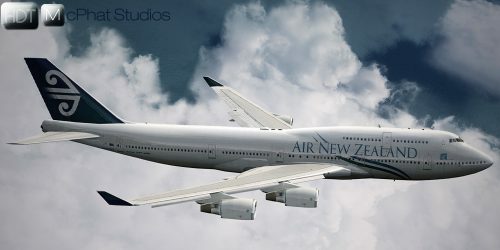 McPhat Studios has announced the soon to be released World Airliners 2 HD Textures (HDT) for the PMDG Boeing 747. -Optimised Digital displays for silky smooth operation and improved system performance. -Fully customisable visual model with options for inflight refuelling, advanced sensors and Head Up Displays. -Superb flight model for the C-27J from Pam Brooker of JFTC suits the agile handling of this unique aircraft. -A wide variety of paintschemes in various resolutions to suit your individual systems. -Custom in cockpit audio for the copilot, tanker operator and loadmaster who all respond to your every decision. -New design techniques including 'Lotus Style' landing light effects, in-game night vision capability and more. Another preview video has been posted from the upcoming Dreamfoil Creations Robinson R22 for X-Plane. Orbx has posted the first preview pictures of the V8 Supercar Ford Falcon to Bathurst Airport (YBTH) for FSX. FlightSim Developers (FSD) are holding a 20% off on all products labor day sales event. Sale ends Today. France Touristique Scenery has lowered the pricing on several products, and released a patch to Mayotte Full HD for FSX. Earth Simulations has posted the first preview pictures from the upcoming Isle of Man scenery for FSX. Aerosoft is offering a 30% discount on all FSCrew products. Valid until September 30th 2011. Jacques Botha and Frits Beyer have released the freeware Empangeni Airport (FAEM) for FSX. Download at AVSIM.